An ecommerce website building isn’t something that is really cut and dry. There’s a huge variety of products and services that can either help you get your web site where you want it or simply confuse you. It’s also important that you make the right choices upfront so that you don’t end up having to restructure your whole web site because of some problem in your design layout. The level of time investment neccessary for mastery in a lot of these software packages can range from little to a VERY significant amount. Because of this I feel it’s important to be lead in the “right” direction to make sure you don’t spend time in the wrong areas, or learning some software that might not be all that useful for you later on. Where you should start greatly depends on what you plan on attempting to do, and how deep you’re going to dive in. For a moderately professional, clean looking web site without a lot of automation or intensive animated graphics you can probably get by with some basic knowledge of html, ability with a good WYSIWYG editor, and an image editing program. On the other hand, if you’re someone that’s looking to build something that will really wow your audience then you might consider spending some major time and developing some animation skills with a program like Macromedia Flash. I personally always spring for what I believe will bring me the greatest amount of profit with a minimal amount of effort, and because of this I usually end up spending all of my time diving in deeper with ONLY my WYSIWYG HTML editor, and my image editor. What is a “WYSIWYG” editor? A WYSIWYG (What You See Is What You Get) HTML editor is what allows you to get by with minimal knowledge of HTML. Yes, that means you don’t have to know EVERYTHING about HTML to have a decent looking website. When you use a WYSIWYG editor it interprets what you’re doing (inserting an image for example) as being a certain series of HTML tags with attributes, and does it for you. Thus, what you see on your screen is what you get. Instead of seeing a bunch of HTML code in text format, you’ll mostly see what will actually show up in your browser once your web site is up WHILE you’re making it. I highly recommend using the latest version of Dreamweaver — it is well-known as one of the best HTML editors by general consensus. Dreamweaver’s interface is very friendly, has a built in FTP client, and is specifically built to be flexible enough to suit both the coder and the everyday amateur webmaster. Image editing? What do I need that for? Okay, let’s be realistic here: If you’re going to make a professional *appearing* web site it’s important that you can make some basic, decent looking graphics. There’s a lot of graphics problems that can truly get the job done, but as far as power and flexibility goes I recommend Adobe Photoshop. Adobe Photoshop definitely takes some time getting used to, but in the end it’s VERY rewarding. I’ve ended up using my knowledge of Photoshop to make not only graphics for multiple web sites, but also touched up portraits, made business cards, flyers, and other online advertisements such as banners. Infact, I’ve used it for everything except animation but it also comes with Adobe Image ready which is very good with animation. This software is amazing, and if you’re going to learn ANY image editing software I recommend you start with Photoshop because of it’s wide range of overall usefulness! Let’s get me some sales! Kick off your new web site you’ve gotten up from your knowledge of web-mastering and image editing with a few new sales. Sounds like a plan? Well a great way to do that quickly is with pay-per-click advertising. BUT WAIT! Doesn’t that cost money? Well yes but with the tools brought to us by some of the biggest pay-per-click advertisers out there we should be able to make a good evaluation of how much profit we’re going to make without much investment upfront. The big question behind [p2p type=”slug” value=”make-much-benefits-pay-per-click”]pay-per-click advertising[/p2p] is whether or not it’s worth the cash when you can simply get traffic from regular search engine ranking (otherwise known as organic traffic). Afterall, there are plenty of companies out there that promise to help get you all the traffic you need through optimizing your web site for organic ranking. The answer to this question is quite simple: profit is profit. Through conversion tracking tools such as those offered by Yahoo! Search Marketing and Google Adwords anyone can calculate exactly what their profit is after cost of PPC advertising is taken out. In my opinion, Google Adwords has the most user-friendly interface among the PPC advertisers. Google Adword’s interface makes it very easy to see which keywords are pulling you in the most sales, and which ones aren’t even worth your advertising money. 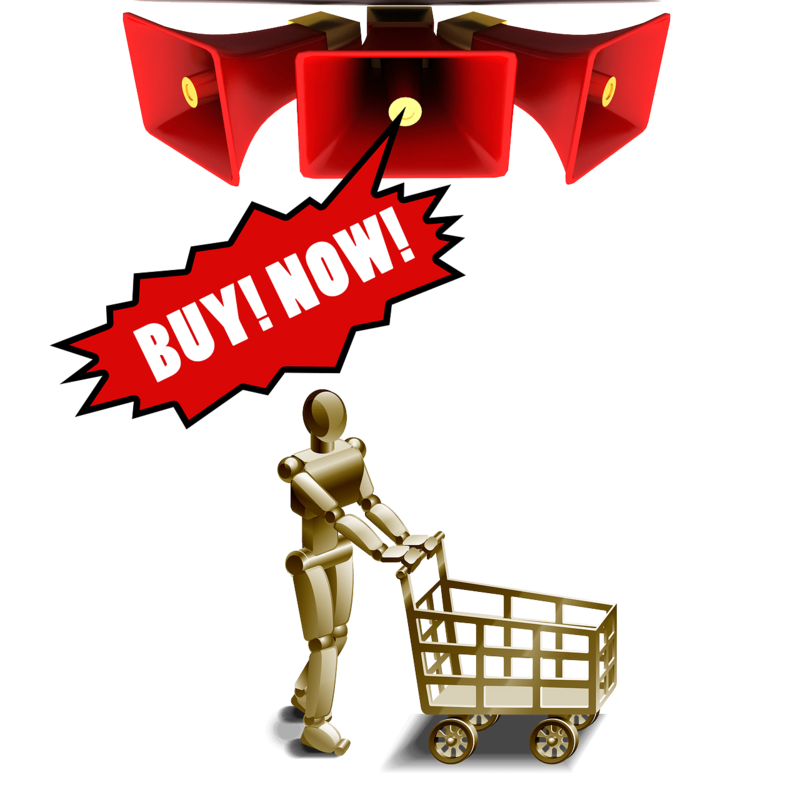 Let us not forget, however, that in order to make those conversions we’re going to be needing a shopping cart! There’s a lot of diverse software packages out there you can use, but I’ve been using Mal’s E-Commerce Free shopping cart for a number of years with great success. The cart’s server is hosted on their machines so that means you not only get away with not having to pay for the software itself, but you get out of having to buy an SSL security ticket too! Nothing’s a better bargain than free, eh? Getting those sales leads you’ve been building up to BUY! Once you’ve scored a few sales it would probably be a good idea to start using some kind of lead management services. I highly recommend the use of auto-responders for this purpose. Auto-responders are, essentially, a newsletter sign-up that allows you to strategically determine what you want to send each lead after a certain allotted amount of time. For example, let’s say [p2p type=”slug” value=”website-selling-anything”]someone visits your web site[/p2p] and you offer them a free newsletter. If you were selling an eBook on some very complicated topic, you might consider sending them only information on the most basic concepts at first to get them interested. Slowly but surely, you can turn those visitors that might have left your web site and never have returned into some serious revenue! Today setting up an ecommerce site has become easy. We can find many ready made instant scripts online and just manage the store. Such like that i found free fiverr script which is free. Effective tips for starting a Ecommerce site.